What happened? 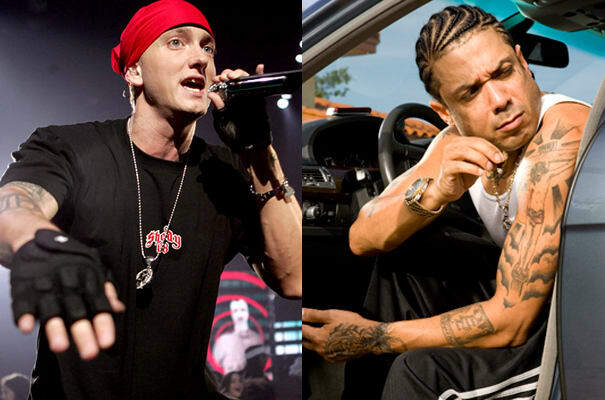 When Em and Benzino initially got into beef in late 2002, Em released a vicious dis record titled "Nail In The Coffin," on which he spit lines referring to his own daughter and Benzino's son: "And I put that on her, when this is all over/I would never try to make her a star and eat off her." Em was obviously subliminally referring to Benzino managing his son Cool Breeze Ray's rap career. So even if his line wasn't that foul, it only escalated the feud between the two.